IPSO’s industrial laundry equipment is efficient by design. They are built to extend linen life, reduce water usage and utility costs, and maximize productivity. Our commercial range of laundry equipment is designed to handle your largest loads and over-sized items, saving you and your customer’s time on washing. Our heavy duty coin-operated machines are built to last and incorporate industry leading control systems for quality performance. With 14 fully stocked service vans on the road, our service team is available around the clock for you long after your laundry is up and running, ensuring smooth operation for many years to come. 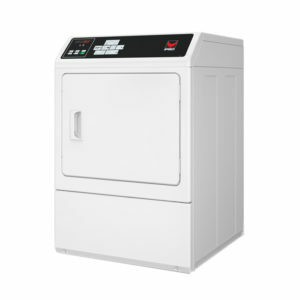 Needing to repair or maintain existing laundry equipment? We stock an extensive range of spare parts to suit all branded washers and dryers. Chat to our staff for a quote. New to the laundry business? We can assist you with all of the setup issues such as site selection, laundry design, technical specifications, equipment layout and more to ensure a headache-free process! EnviroSaver utilises the very effective and efficient technology of ozone to result in impressive utility cost savings on water, waste, electricity and gas. Enquire today and start saving. Providing laundry equipment is only half of what we do. We can also help you design your laundry, providing floor plans and 3D digital maps to guide you through the setup process. We offer a monthly rental system at highly competitive rates that enables your business to have the latest, most reliable equipment for your laundry without the upfront cost.